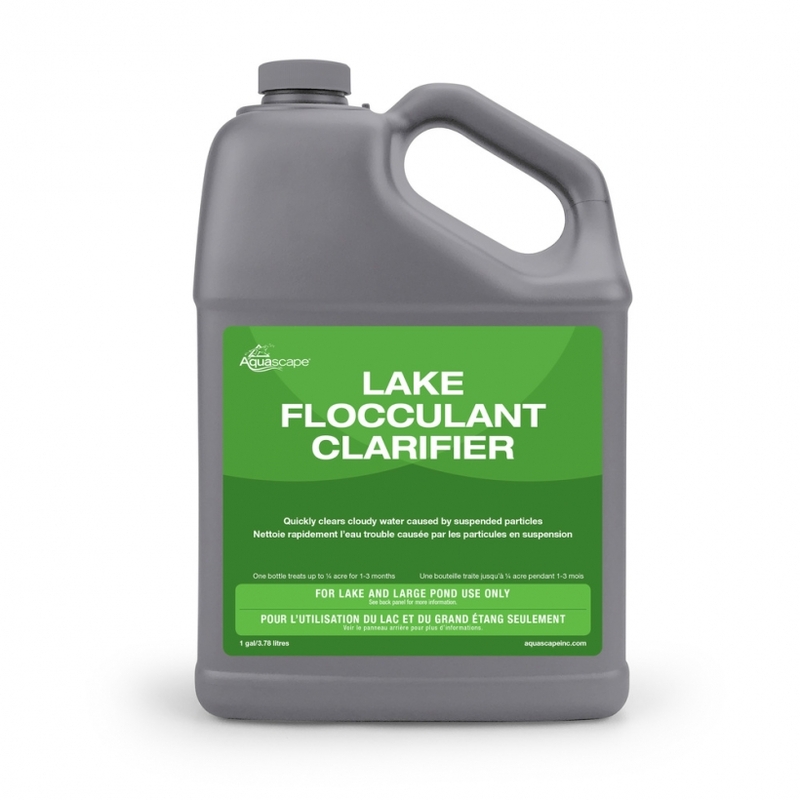 Lake Flocculant Clarifier - 1 gal - Aquascape, Inc.
Aquascape® Lake Flocculant Clarifier quickly clears stubborn clouding water caused by suspended particles in lakes and large ponds. This specially-formulated treatment will effectively reduce maintenance and is optimized to clarify a variety of suspended particles, including clay, mineral material, and sediment. This treatment is for lake and large pond use only and may cause issues, such as gill-stress or fish-loss, in smaller enclosed systems or systems with heavy fish loads. Safe for fish when loading is of natural proportions. Safe for plants and animals when used as directed. Aquascape is passionate about the products we produce, providing unique products, designs, and features that stand above the competition.